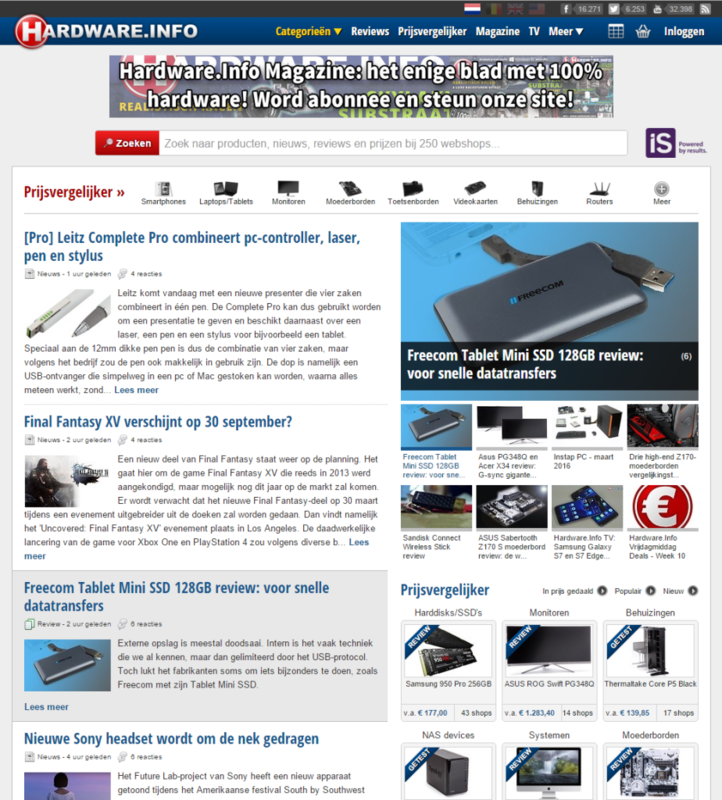 Hardware.Info was founded in 1999 and has since independently informed consumers in the Netherlands and Belgium about computer hardware and consumer electronics. Hardware.Info is part of HWI Group, an authoritative and renowned test lab that yearly tests more than 1,500 products in a highly professional and controlled environment. Additionally, HWI Group conducts testing and provides articles for a number of third-party publications. In the 400 m² testing facility the editors of Hardware.Info have access to professional testing equipment allowing them to evaluate products in a controlled and consistent manner. Based on these test results Hardware.Info publishes comprehensive comparison tests, but also in-depth single product reviews. The monthly PC Buyer’s Guide is compiled based on thoroughly tested products. Objectivity and editorial independence are essential for Hardware.Info. For this reason, there is a clear separation between the commercial aspects of the site and the editorial part. In addition to editorial content, Hardware.Info offers an extensive price comparison engine featuring over 300,000 products in over 110 product categories.